The Chiiori Trust works to solve problems in rural Japan caused by irresponsible modernization. Brief introduction to the elements that make up a Japanese style house and interior. Features descriptions of Shinden-zukuri, Shoin-zukuri, Sukiya-zukuri, tatami, shoji and fusuma, tokonoma and more. In 1970, the system of Important Preservation Districts for Groups of Historic Buildings was established in Japan to preserve groups of buildings together with their surroundings. This site introduces these districts. Features a list of towns with photographs. Traditional Japanese houses (Minka) are built with local wooden materials and techniques, suited to local climate. The JMRA aims to preserve and restore Minka. Site for the book of the same name by Yoshihiro Takishita. Preserving old Japanese farm houses by moving and renovating them for modern living. Kyoto organization to regenerate Kyoto’s traditional machiya townhouses, Kyomachiya. In the middle of the industrial city of Osaka lies the Open-air Museum of Japanese Farm Houses with an excellent collection of authentic minka (farm houses). Analysis of traditional Japanese domestic architecture as being based on long standing attitudes towards ideas of harmony. B&W illustrations on separate pages. Washington, USA based Sukiya Japanese Architects & Builds Inc. builds authentic Japanese sukiya style buildings. 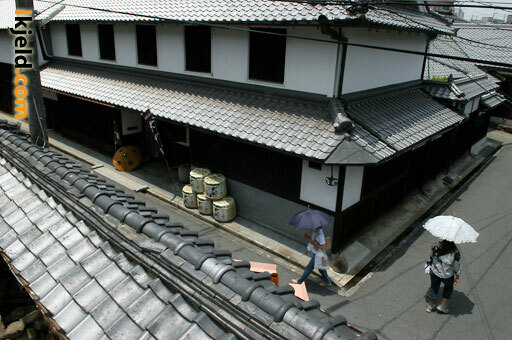 Site features many photographs of traditional Japanese architecture. Photos of buildings and houses dating back to the Meiji, Taisho and early Showa periods. Find more sites related to Japan at Japan Links. Special section for Traditional Architecture.